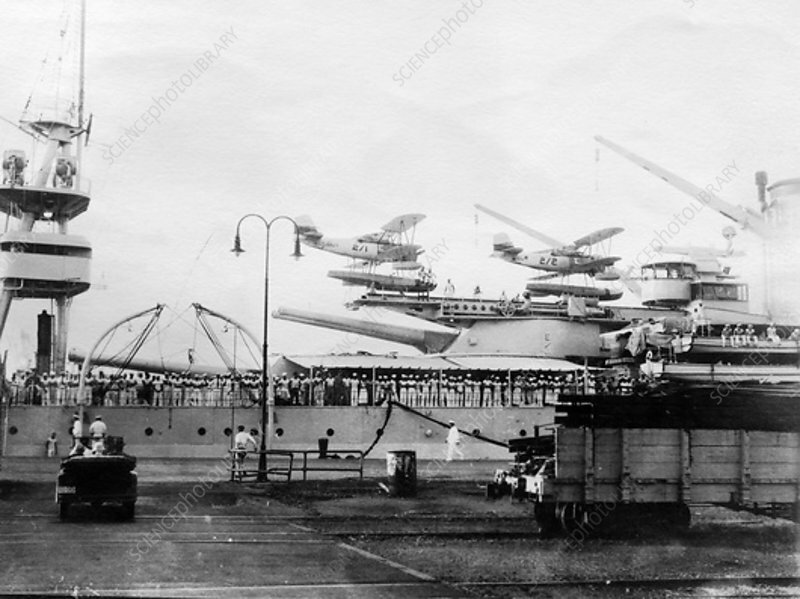 Seaplanes on board a US Navy warship, Navy yard, Balboa, Panama, 1931. Balboa is located at the Pacific entrance to the Panama Canal. The photograph was taken during a Cunard Line cruise to the West Indies between January and March 1931.